Kon-Tiki Taco Catering’s magnificent, meatless taco catering options will satisfy vegetarians, vegans ... and everyone else. In the past “going vegan” meant making sacrifices because options for meat-free eating were limited. In fact, vegans were once considered difficult dinner party guests, especially when it came to catered events. 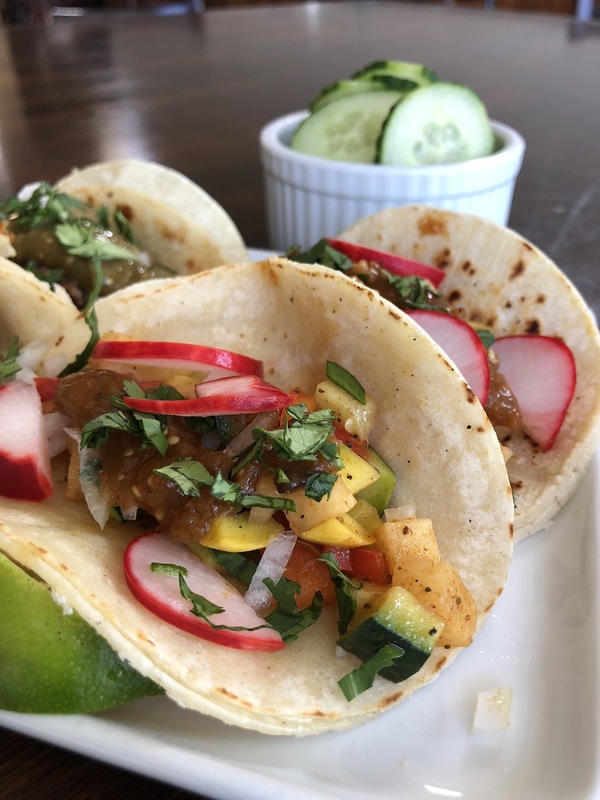 Vegans are outcasts no more – in part because of great vegan taco recipes created by Kon-Tiki Taco Catering. This includes vegan tacos stuffed with fresh vegetables, delicately spiced grilled potatoes, protein-packed tofu, legumes, and salsas that range from pleasantly savory to spicy. Pair Kon-Tiki Taco Catering’s vegan tacos with island-style black beans and Mexican-style rice – and we’re really cooking now! What more, our vegan taco offerings have proven to satisfy everyone, especially in terms of flavor. Which is pretty much the point: party planners – from professionals to human resources employees to family members – no longer have to shy away from vegan taco options. You don’t have to be vegan, vegetarian, pescaterian, or lacto-ovo anything to appreciate them. Veganism is a growing trend. Millennials in particular will choose a vegan taco out of concern for the planet as much as their own health. The fact it is so ingrained in a culture and a generation diminishes the idea that eating vegan is giving up something they want. It’s really more about what they expect. That’s because Kon-Tiki Taco Catering’s vegan tacos are so darn good. This is why event planners, working with their caterers, now make vegan offerings a standard part of menu development. A vegan taco or even a dedicated vegan taco station at a wedding, a corporate event, bar or bat mitzvah, graduation, confirmation all make sense. So get this vegan-friendly taco party started! Place your business or private event in Kon-Tiki Taco Catering’s capable hands. Then relax and enjoy the occasion. Call 888-558-9515 today to receive a FREE vegan taco catering quote.